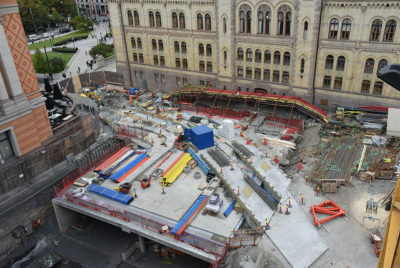 The construction cost scandal around an already controversial remodeling project at the Norwegian Parliament (Stortinget) keeps getting worse. Now it’s due to cost taxpayers another NOK 219 million after years of major overruns. The project, to build a new post- and delivery terminal and upgrade an adjacent office building, has turned into an enormous mess in every sense of the word. It was initially expected to cost around NOK 70 million back in 2011 and then several hundred million more as it grew in size and scope. By 2016, its costs had exploded to NOK 1.8 billion and by earlier this year, they’d risen to NOK 2.3 billion, embarrassed the entire Parliament and ultimately cost both the president of the Parliament, Olemic Thommessen and its administrative leader, Ida Børresen, their jobs. Now the costs have since risen to NOK 2.5 billion, reported newspaper Aftenposten on Monday. An internal memorandum shows that much more money tied to the project will be needed for new equipment, moving expenses, legal fees and, not least, rehabilitation of the outdoor public square above the underground terminal and parking facility that caused most of the trouble and cost overruns in the first place. 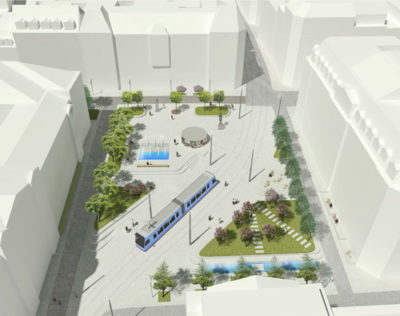 The public square, called Wessels plass, had been renovated as recently as 2005 with a new tram line running through it before it was dug up all over again when construction began on the facilities under it and on the adjacent office building at Prinsens gate 26. Some of the costs will be covered within the Parliament’s ordinary budgets, but Trøen said it’s also important to compile all of its direct and indirect costs. She said project leadership has been strengthened, that state building agency Statsbygg has been brought in to help and any deviations from the current budget are now reported on a weekly basis. The Parliament has little choice but to just pay the bills, get the project complete and move forward, albeit red-faced over all the trouble. Michael Tetzschner, the Member of Parliament who led its disciplinary action over the project, said he’s satisfied that the figures now give a clearer picture of what it’s ultimately costing. He said nothing about the scandalous project surprises him any longer, “but I’m glad these numbers are now on the table.” He added that he also had confidence in the two new officials, Trøen and Børresen’s successor Marianne Andreassen, now in charge of it.